According to the annual Emerging Trends in Real Estate report by the Urban Land Institute, Austin, Texas is currently ranked the best real estate market in 2017. If you’re looking to invest in the hottest real estate market right now, then Austin should be high on your list. What makes Austin so valuable? 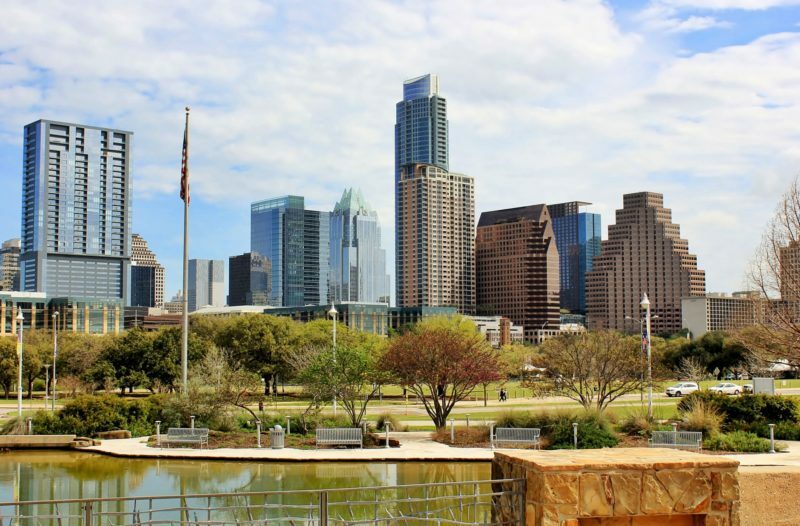 With a livability score of 77% as well as a median home price of $227,800, Austin isn’t yet a price gouge like many other up-and-coming cities in the United States. It’s also the fourth largest city in Texas and the eleventh largest city in the country, so you’re bound to get an urban living experience while still being about to afford the costs. From urban townhomes to custom luxury homes to condos, Austin has many homes new and old that are ready for purchasing. In 2016, 159 people moved to Austin each day! So why are so many people moving to Austin? Fun and diverse neighborhoods like Crestview, Hancock, Westgate, Downtown, Barton Hills, Rosedale, Zilker, Allandale, North Shoal Creek, and Dawson all provide different vibes and environments that suit different needs, from loud and hip to more quiet and young professional. Although people are moving to the city from all over the US, Austin still holds onto its southern hospitality and friendly atmosphere. The average commute time in Austin is 23.4 minutes, which is a lot shorter than in many other growing metropolises in the US. If you enjoy walking alone, with friends, loved ones, or even walking with your pet, Austin’s walk score is rated pretty high at 35/50. While public transportation is limited and most people still drive, the highways are relatively de-congested, and there’s a good amount of available parking throughout the city. If you’d prefer not to drive, ride-sharing apps like RideAustin are incredibly convenient and inexpensive. 55.2% of people who call Austin their home are homeowners. This means 44.8% of the population are renters or potential homeowners who could buy a home anytime soon. With a median home income of $55,216 and a median home price of $227,800, you can hit the ground running as soon as you invest in Austin. The median age of Austin’s population is 32.1%, which makes the city very attractive to millennials. Many more millennials are buying homes in Austin because the prices are so reasonable. Since the city is known for its live music scene, it wouldn’t lose its appealing power anytime soon.